Playback Theater is used around the world to provide forums for an exchange of diverse experiences and to help create deeper cultural understanding and heal traumatic experiences from a personal to global scale. Playback Theatre is a form of improvisational theater in which the audience or group members tell stories from their lives and watch them enacted on the spot. In this workshop, everyone will have the opportunity to become both tellers and actors. We will play improv games, practice listening with our whole bodies, explore a variety of Playback Theatre forms, and learn and grow together through this community building practice. 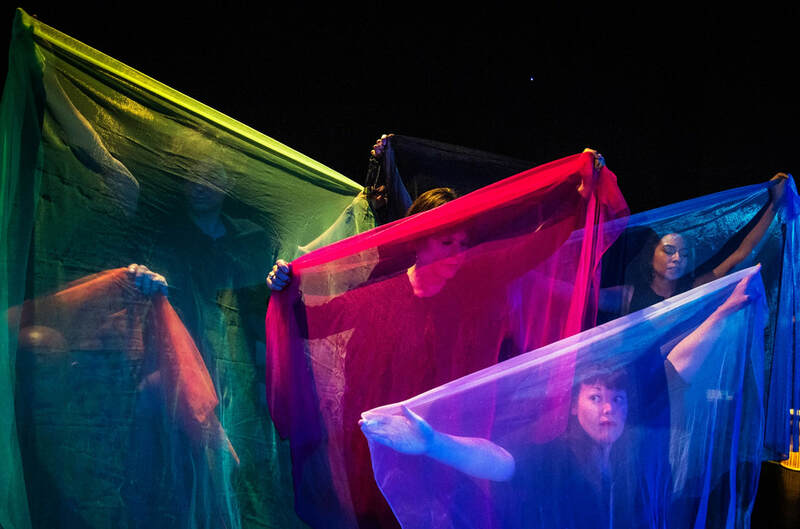 Whether you are an experienced improviser or the idea of performing pushes the edge of your comfort zone, Playback Theatre offers a rich experience for all as we witness one another, raise our collective consciousness, and weave our stories together through our bodies. You are invited to bring musical instruments/sound makers, and to wear clothes you can move in. ​​Lucy is a trauma-informed educator, embodiment activist, dancer, improviser, and emerging performing artist. She completed a Masters in Education from Goddard College with a focus on embodied learning and has been training with the Center for Playback Theatre for the past two summers. She can’t wait to share in the communal magic of Playback Theatre within the Central Vermont community!